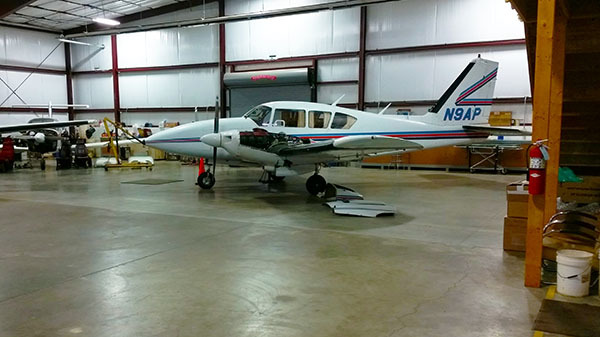 The Wellsville Municipal Airport offers maintenance services for any of your aviation needs. Our maintenance services offer everything from simple repairs to complete engine rebuilds. You can rest assured your aircraft will be well taken care of. We are looking for an A&P/IA Mechanic or someone interested in running their own aviation repair station. Please get in touch with us if this is of interest to you! Our shop is open Monday-Friday from 8am-5pm or as needed. A small plane being repaired in our shop.